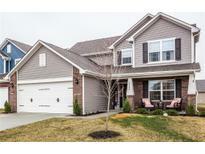 Below you can view all the homes for sale in the Sonoma subdivision located in Westfield Indiana. Listings in Sonoma are updated daily from data we receive from the Indianapolis multiple listing service. To learn more about any of these homes or to receive custom notifications when a new property is listed for sale in Sonoma, give us a call at 317-308-8198. Upstairs has it all, 4 full additional bedrooms all with walk in closets, a cozy loft, large laundry room and a master suite to die for w/ tray ceilings, huge walk in closet, and gorgeous bathroom. 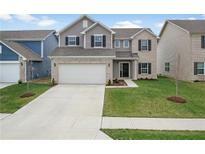 MLS#21632270. F.C. Tucker Company. Master features his and her closets, double sinks and an oversized shower.. All of this on a private lot backing up to Saint Maria Goretti School and Church! 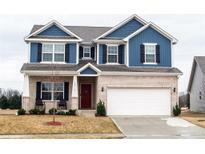 MLS#21631790. ERA Real Estate Links. Too Many Updates To List But Included In The Supplements. Hurry, This Won'T Last! MLS#21628649. F.C. Tucker Company. This is a must see for anyone looking for lots of space. Welcome home! MLS#21628092. Keller Williams Indy Metro NE.